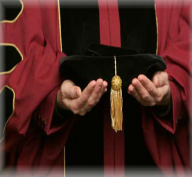 ADMISSION REQUIREMENTS OF Ph.D. & D.Ph. Ph.D. and D.Ph. 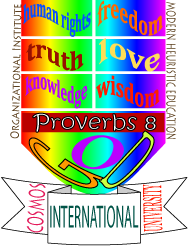 degree programs of Cosmos International University are only for Autonomous Researchers who desire to follow Modern Heuristic Education System and, therefore, he or she should reach a specific degree of competence and confidence to construct his or her own theory which is provable, and should overcome the limitations of methods, philosophies, and psychologies. It involves a cognitive dimension that links thought with activity, centering on the context-embedded, interpretive process of knowing what to do. This is possible when the autonomous researchers themselves want to ensure autonomy. Ensuring such autonomy requires formal education, alternative education and informal education of a continual none-stop process together. A prerequisite for admission to a doctorate degree program of Cosmos International University is a practically earned master's degree or equivalent from a university in the same discipline of the intended specialized field of research. But merely a Master degree certificate without having a competent knowledge as mentioned above will not get a person admitted to the program. Ph.D. degree holders from other universities are allowed to join the Advance Doctor of Philosophy (DPh) program of Cosmos International University . Successful candidates have to submit a one hundred thousand words heuristic research dissertation to fully complete an autonomous research degree program. Unless the candidate is 35 years, there is no policy to confer the D.Ph. to any autonomous researcher. At the time a heuristic researcher completed the DPh, he or she must be 35. The Ph.D. degree program is a three-year heuristic autonomous researcher's degree program, and an approved eighty-thousand-word dissertation should be written and submitted by the researcher as partial fulfillment to complete the Philosophical Doctor (PhD). Unlike other PhDs of many regular universities, PhD of Cosmos International University is issued and offered to prove the recipient or heuristic researcher that he or she is qualified to continue autonomous research work toward the DPh program. But it is not necessary to submit the eighty-thousand-word dissertation separately if the researcher would want to continue to complete the DPh. Duration of research for DPh is four years at the least, and it is extendable depending on autonomous researcher's readiness of writing and defending a dissertation, the ability, skills and oral presentation. Autonomous researchers of Doctorate degree programs, who have completed three years are considered to have completed a PhD degree, and upon the completion of DPh., both PhD and DPh will be conferred at the same time. In some cases, the diploma of PhD degree will be issued after three years of doing heuristic research depending on conditions and circumstances. Every researcher at a doctoral degree level will not be in any way controlled by the university or higher authority of an organization which is why it is highly selective. Whatever he or she writes or records from heuristic research results and findings will be comprised all together, and it will be used for a curriculum or syllabus of Master's or Doctorate Degree programs at Cosmos International University. And he or she is automatically and voluntarily becomes a volunteer Professor at Cosmos International University upon completion of PhD or DPh. While working for Cosmos International University after graduation, he or she has the freedom to look for a permanent employment opportunity in a country of choice at a private or government owned regular university, college, institute or international school worldwide, and it will be strongly encouraged and supported. Admission to a Master of Art degree program is obtainable by sending email to info@ciuac.org. Go to http://www.ciuac.org/form1.php and fill-in the online application form.